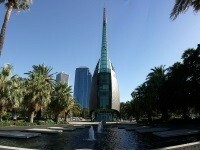 Perth - the largest city and the capital of Western Australia, located on the shores of the Indian Ocean. Perth - Australia's fourth city population. The first IKEA store opens in Perth 1986 year. IKEA store Perth opened 11 December 2016 of the year. The shop area is 26600 square meters.